Fault trees (FT) are a popular industrial method for reliability engineering, for which Monte Carlo simulation is an important technique to estimate common dependability metrics, such as the system reliability and availability. A severe drawback of Monte Carlo simulation is that the number of simulations required to obtain accurate estimations grows extremely large in the presence of rare events, i.e., events whose probability of occurrence is very low, which typically holds for failures in highly reliable systems. This paper presents a novel method for rare event simulation of dynamic fault trees with complex repairs that requires only a modest number of simulations, while retaining statistically justified confidence intervals. Our method exploits the importance sampling technique for rare event simulation, together with a compositional state space generation method for dynamic fault trees. 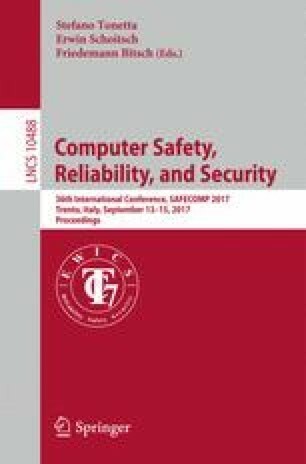 We demonstrate our approach using three parameterized sets of case studies, showing that our method can handle fault trees that could not be evaluated with either existing analytical techniques, nor with standard simulation techniques. This research was partially funded by STW and ProRail under project ArRangeer (grant 12238) with participation by Movares, STW project SEQUOIA (15474), NWO project BEAT (612001303), NWO project SamSam (50918239) and the EU project grant SUCCESS (651.002.001/1467).